iPad Coming to Our Clinics for Children With Special Needs! 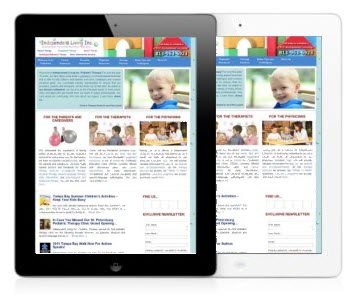 Independent Living Inc. Pediatric Therapy is proud to announce Apple’s iPad is coming to our pediatric therapy clinics. We have named a few therapists to specialize in special education iPad apps built specifically to help in the development of children with special needs including: autism, cerebral palsy, down syndrome, apraxia, and other diagnoses. Word Prediction to minimize keystrokes. Adaptive learning to add new vocabulary used into the Word Prediction list. 3 preloaded voices for user to pick through. Assistive Chat is currently only designed for the English Language. This full-featured Augmentative Alternative Communication (AAC) solution for people who have difficulty speaking provides natural sounding text-to-speech voices (currently American, British and Indian English Only). it has high resolution up-to-date symbols, powerful automatic conjugations, a default vocabulary of over 7000 words, advanced word prediction capabilities, full expandability and extreme ease of use. Proloquo2Go is for anyone who cannot afford spending thousands of dollars on an AAC device and yet wants a solution that is just as good if not better. Speech-language pathologists (SLPs), teachers and parents recommend it for children and adults with autism, cerebral palsy, down syndrome, developmental disabilities, apraxia, ALS, stroke or traumatic brain injury. 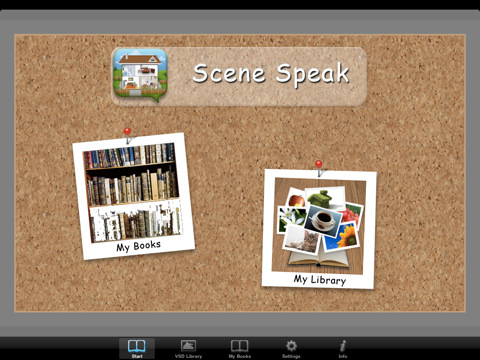 Scene Speak provides a framework on the iPad to create visual scene displays. 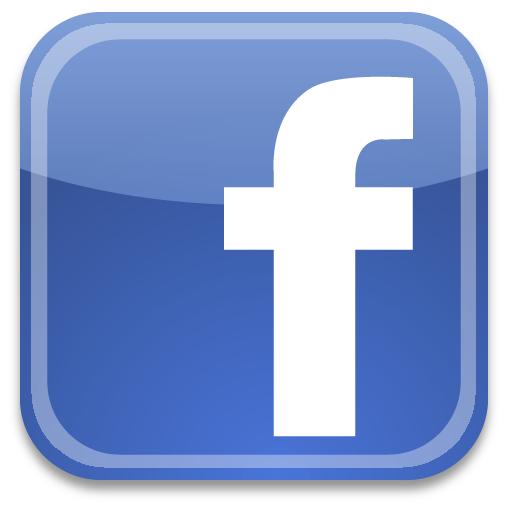 This application allows an image can be edited with active “sound areas” that can be selected and used as a means of communication. Images then can added into “books” by theme or area of interest. 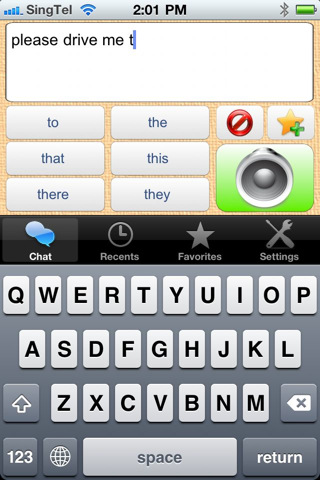 Scene Speak is a wonderful communication tool for those with autism, aphasia, apraxia, developmental disabilities or anyone wanting to enhance receptive language or visual memory. Ability to add your own personalized images from your home computer. Search for and add images from the built-in internet image search feature. Ability to crop and re-size images. 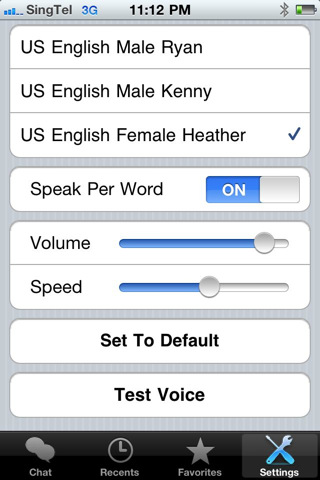 Use five preloaded voices in the TTS feature or record your own voice to the “sound areas”. Add multiple “sound areas” to one image. 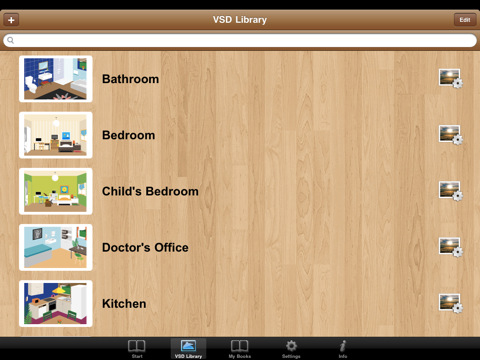 FILE SHARING: you can backup your saved “Books” and “VSD’s” on your home computer or you can share them with a person with the same application. 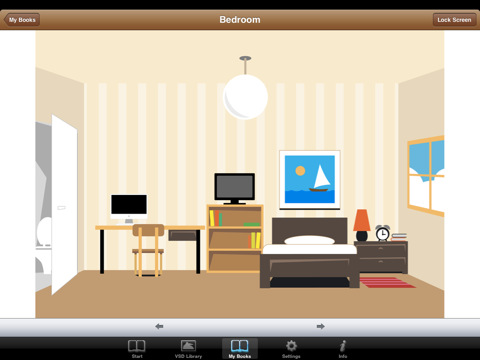 The app comes preloaded with eleven generic scenes that can be edited and sound areas added. “What Hurts?” (Boy, girl, man, woman).